boarded a plane and was deported to Tunisia. 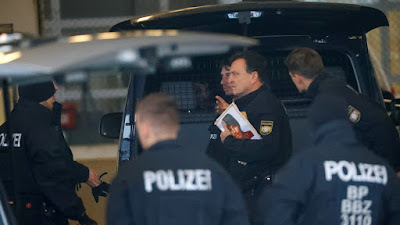 Repatriation of Sami A, who is suspected of having ties with terrorism, is “grossly unlawful and violates fundamental constitutional principles,” the Administrative Court of Gelsenkirchen said on Friday. The court decision, which was actually made on Thursday, was made public only after the 42-year-old man had already boarded a chartered Tunisia-bound flight from Dusseldorf early on Friday morning. His deportation was confirmed by Germany’s Interior Ministry. But the court first informed the Federal Office for Migration and Refugees (BAMF) of its decision when Sami A. was already on the plane. The reason for the delay was that, despite repeated requests by the court, all authorities involved had not announced the date of the planned deportation, Welt reports. The Federal Ministry of the Interior, which had assisted the authorities with the deportation, wants to appeal the judge’s decision at a Higher Administrative Court in North Rhine-Westphalia. The alleged former bodyguard had been arrested earlier in June in the western German town of Bochum. The arrest took place after BAMF had lifted a ban on his deportation. Sami A. made headlines in late April when German media revealed that the man, who was reportedly suspected of being a bodyguard for the alleged 9/11-mastermind Osama Bin Laden during a number of months in 2000, was living in Germany and collecting welfare to the tune of €1,168 a month for himself, his German wife and three children. According to a witness testimony during a 2005 German anti-terror trial, Sami A. had undergone militant training in a camp in Afghanistan. He denied jihadist links, but judges in Dusseldorf believed the witness.